For the theme song of Sharddha Kapoor and Sushant Singh Rajput's Chhichhore, a special set reportedly worth Rs 9 crore is being constructed in Mumbai's Mehboob Studio. A source close to the film said that the song, which will reunite choreographers Bosco and Caeser after several years, will be the only choreographed song in the movie. The said song will be shot with over 500 dancers using state-of-the-art equipment. The source said in a statement: "The set is huge and lot of detailing has been put up by the set designer Laxmi-Sandeep. Bolt Cameras are going to be used for shooting the same - they are extremely high-speed and can go from standstill to high-speed motion and back in a fraction of a second." It's going to be a huge set up with 500 dancers, the set development cost is about Rs 9 crore. The makers did not want to compromise on the same since it is the only song in the film," the source added. 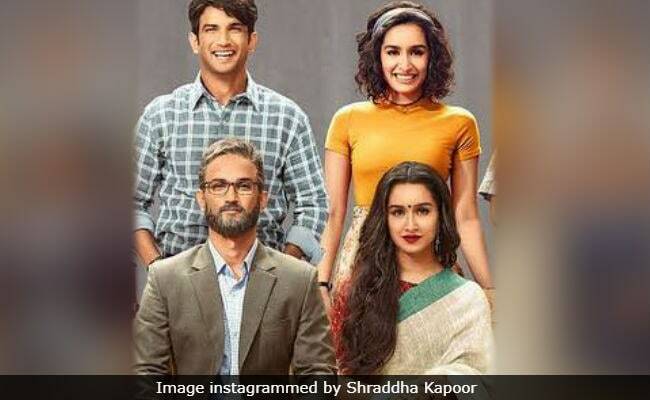 In Chhichhore, lead actors Sushant Singh Rajput and Shraddha Kapoor along with the film's supporting cast (including Prateik Babbar, Siddharth Narayan and Tahir Raj bhasin) will sport several different looks. "The song is going to be shot in a very different manner with all the 8 actors in their 90s look as well as the current look," said the source. Chhichhore is directed by Nitesh Tiwari (Dangal and Bhoothnath Returns) and produced by Sajid Nadiadwala. Chhichhore is slated for August 2019 release.